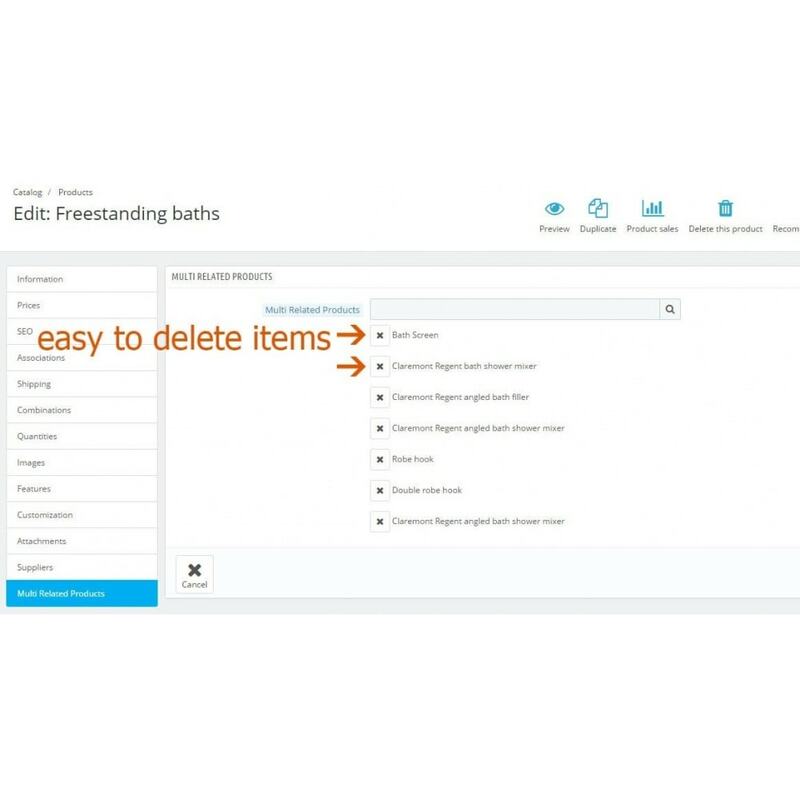 The module lets you create the bundles combining products. This is a good suggestion for your customers in case they don't know what to buy with. Bundle a few products together, offer them at a discount and watch your sales soar. Offer a flexible bundle of products, therefore increase your sales. · Allows you to add additional items for compiling a set. · You can include as many products as required. 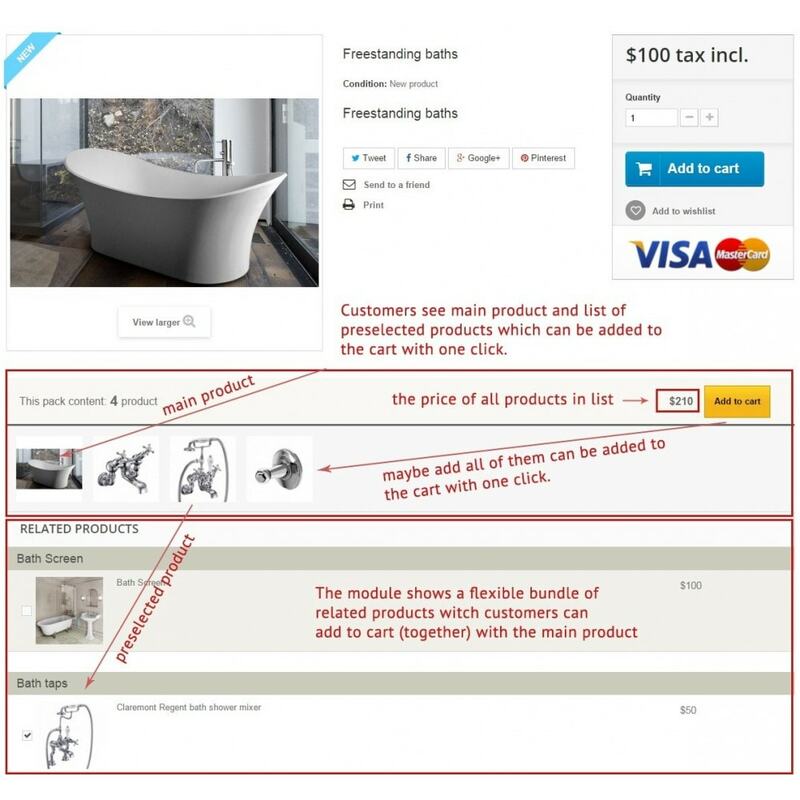 This feature supports consumers in their decision-making encouraging them to buy several products at once. This is a good suggestion for your customers in case they don't know what to buy with. Does it looks like a packed product? Yes, it seems, but it's totally different. Your customers are free to choose one or more or even not choose any related products to be checked out. It's very flexible. You might call it "Package Deals", "Buy the Set" or "Bundle Sales". Whatever you call it, they work! 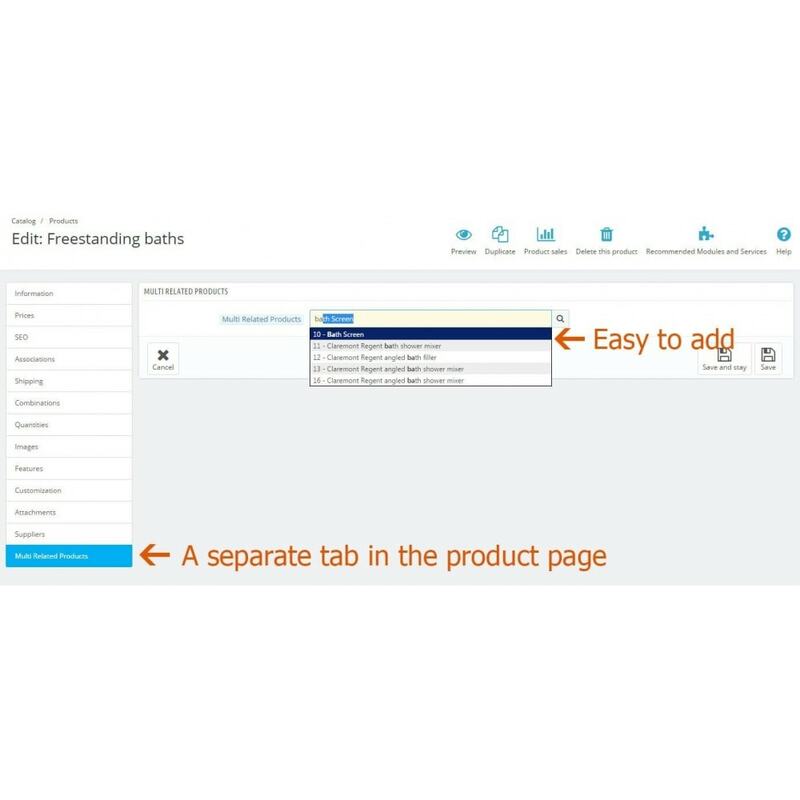 All bundles of products are created in a separate tab in the product page. 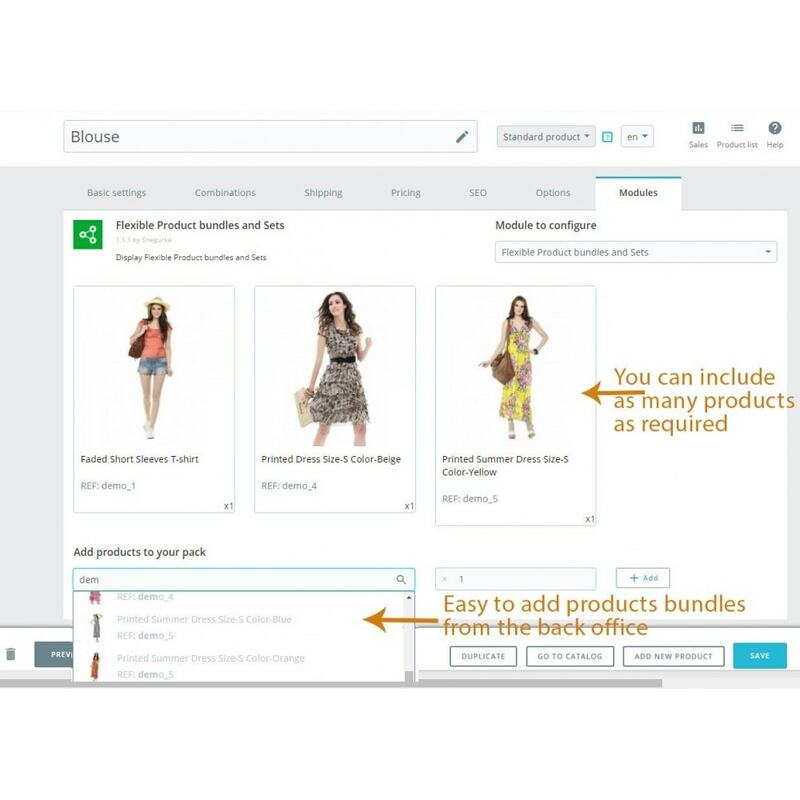 Flexible Product bundles - It allows you to quickly (in one click) create a bundle of products, which can be recommended to buy with the current product. 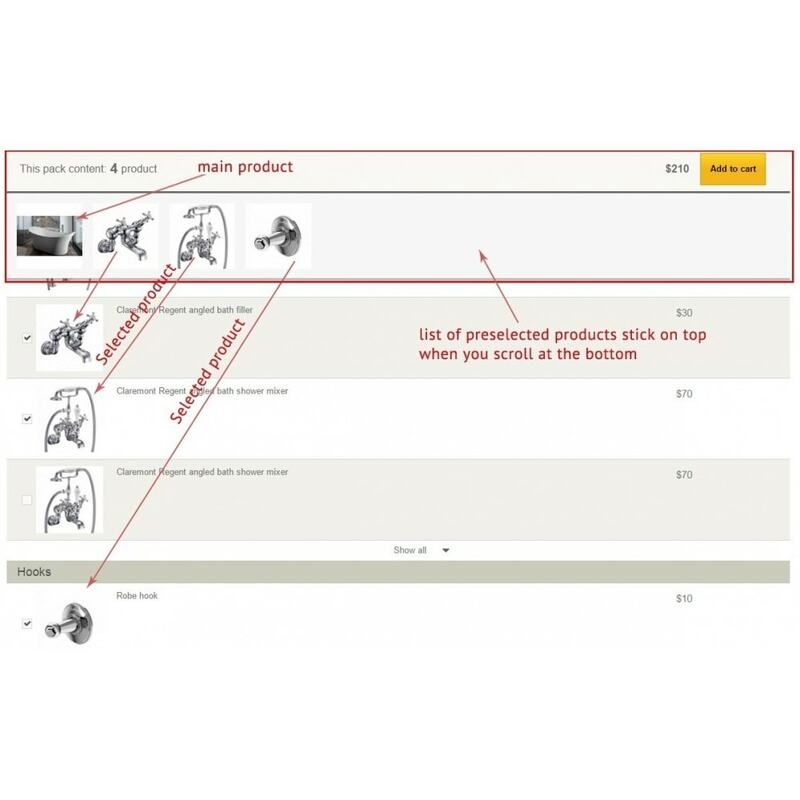 Customer can see list of preselected products which can be added to the cart with one click. Related products are grouped by category with collapseexpand list of products. Any of the products can be removed from the shopping cart.